Indian dance has always told stories. 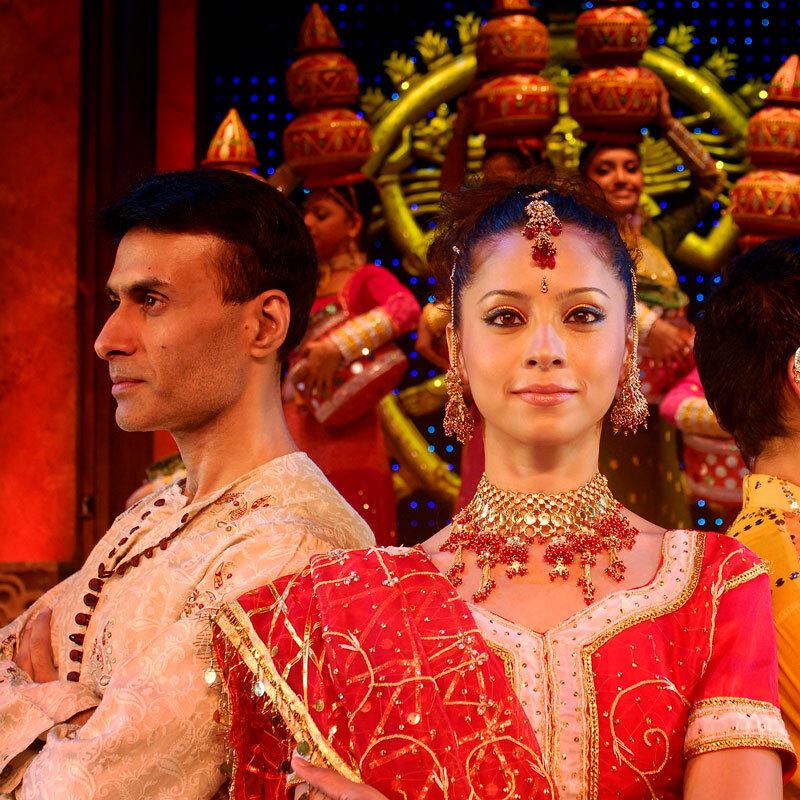 Classical dance depicted religious stories of the various exploits of many gods and goddesses of t he Hindu pantheon. Dance is said to have originated from Nat raja (‘Lord of Dance and Drama’), one of the many forms of Shiva. Even today many of the folk theatrical forms of India are heavily reliant on dance and on telling the stories of various religious myths. The performance of the Ram-Lila (the story of Lord Rama) is one such, enacted annually in rural India. With the advent of film, Indian dance moved to the silver screen in the 1920s. Gurus of classical dance were brought in to choreograph elaborate sequences in the early mythological films. Since they taught rather than performed they were given the title ‘Dance Masters’ – a term that still exists irrespective of qualification or gender. The 1940s saw film choreography become a more and more important part of Indian films. So much so that their heroines began to be selected on their ability to dance rather than act. Many a classical danseuse made the shift to film. Slowly but surely classical dance waned in favour of a more free flowing style, which was less pure and more ‘classically inspired’. The 1950s saw the birth of the ‘item girl’ or ‘Cabaret Dance’, usually set in a bar or public functions and sometimes as part of elaborate fantasies, Through these sequences audiences are introduced to the more titillating western styles of dance. Music began to dominate the films of the 1960s and 1970s with dance being sidelined. But the 1980s and the birth of disco firmly placed dance back on a pedestal in Indian films. The archetypal military style formation of dancers was born in the 1980s and is still a strong in the modern film choreographer’s quiver. India’s economic boom on the 1990s spawned the phenomenon of lavish Indian weddings, which were reflected in the dance numbers of t he film. Production values, sophistication and professionalism were brought in with internationally trained choreographers and soon background dancers were no longer props but important ingredients in dance numbers. Today, Bollywood Dance is a form all its own. Borrowing generously from Western free-form and Indian Classic styles, Bollywood dancing is all about energy, vibrancy and, above all, telling a story.